Funky but professional business card design. 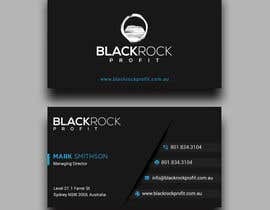 Need a business card design that represents my business and is memorable. Not overly colourful, dark designs are ok.
Hi All, I just wanted to say thank you to everybody for their time and effort, I appreciate receiving so many great designs and it has been hard to narrow it down let alone make a decision. sir, i have different designs,please check my all designs #905 #923 #924,i hope you like my design,if any changes ,please inbox me,thank you sir. SIR I HAVE NEW DESIGN ,PLEASE SIR CHECK MY DESIGN #905,THANK YOU SIR. Dear Contest Holder! Really I want, you get a professional design for your business. Maybe, some my friends trying to copy my concept. I hope you will see and take action. I respect a lot your decision. Thank you so much! Hey everyone, some really good designs now coming in. To save you some time, don't bother using the red, yellow or purple. Please, check my last one unique concept. thanks. Sir, please check #502 #505 #506 and #507... Any change is possible. Sir Please Check these Id #393, #390, #389, #387, #362, #357, #349, #346, #337, #329. Hope You have a choice from here. Please tell me if you have any corrections. Hi All, please only free designs now thank you. Please check my entry #135.